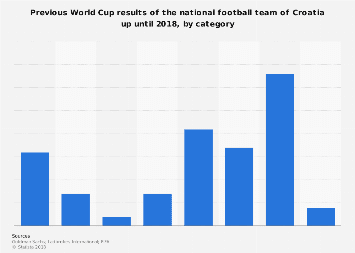 With France’s 4-2 win over Croatia, the 2018 FIFA World Cup in Russia ended in spectacular fashion. 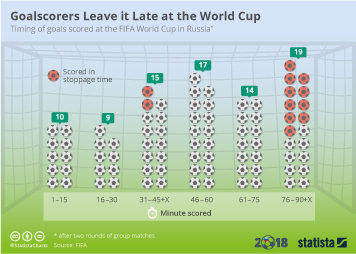 While the tournament’s ultimate game, it was the highest-scoring final in more than 50 years, turned out immensely entertaining to the neutral fan, the same cannot be said for all World Cup games, which were often dominated by defensive strength rather than by attacking flair. 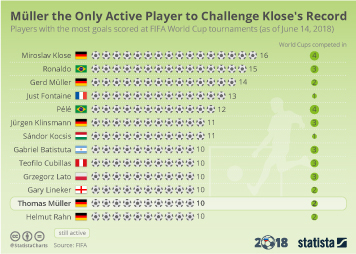 With a total of 169 goals scored, among them a record-setting 11 own goals, Russia 2018 was an average World Cup in terms of goals. On average, football fans saw 2.64 goals per game, falling just short of the 2014 tally of 2.67 goals per fixture. 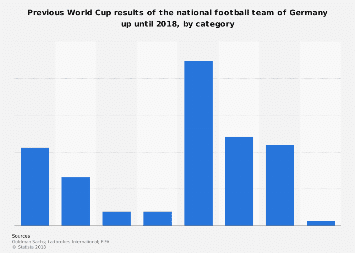 As the following chart illustrates, the scoring average at World Cups has remained relatively steady since Chile 1962 with some smaller ups and downs. 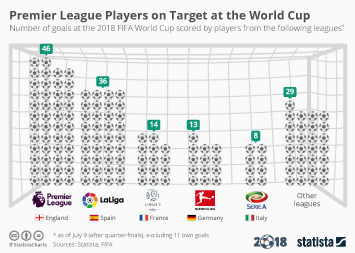 In the early years of the World Cup however, high-scoring games such as yesterday’s final were no exception: the 1954 World Cup in Switzerland was the biggest goal feast in history, with an average of 5.38 goals scored per game. 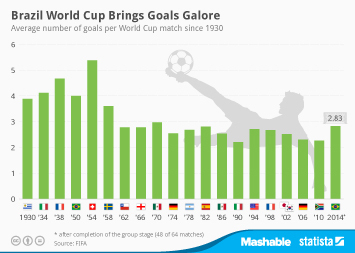 This chart shows how many goals were scored in an average game at each World Cup since 1930.